With its exceptional performance and outstanding cab, the John Deere 8320R tractor is a worthwhile investment. 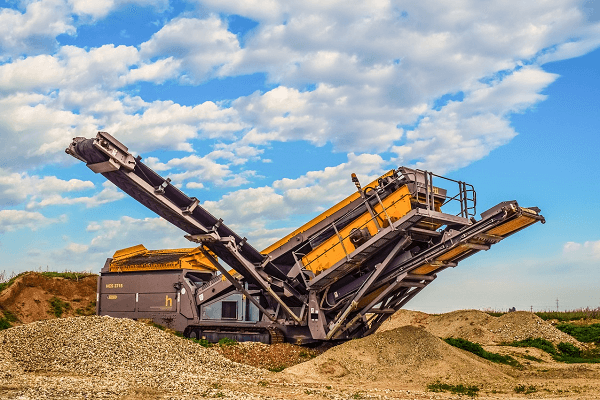 These machines offer you reduced running costs as well as maximum uptime. 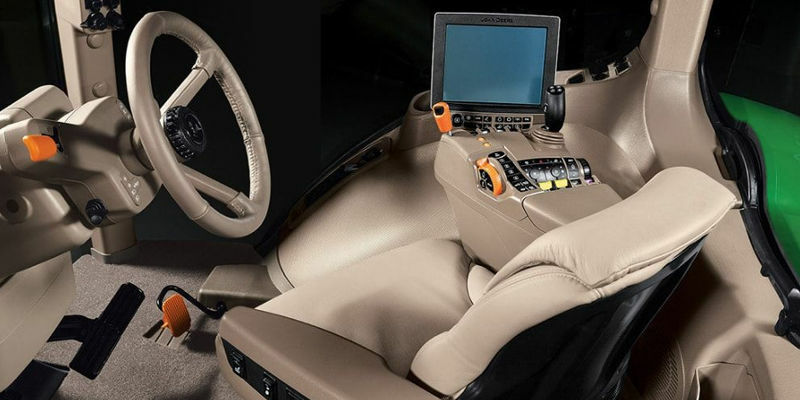 Superior comfort levels create a pleasant work environment for the driver, which is conducive to increased productivity. Other advantages of these tractors are its impressive hydraulic capacity and drawbar strengths. If you want to increase the efficiency of your farm, you can find tractors for sale on AgriMag. The John Deere 8320R provides you with an impressive drawbar performance, which boosts the efficiency of your operations. These tractors deliver a high PTO power without compromising on fuel economy. Their outstanding hydraulic performance, combined with their excellent lifting capacity, make it possible to work with heavy implements effortlessly. 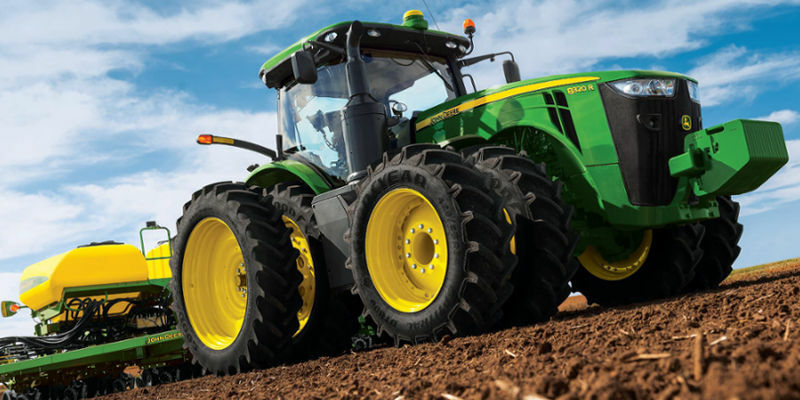 The 8320R tractor offers an overall efficiency of up to 93%. The cooling package provides an increased airflow while the 9.0 l engine offers increased torque and fuel efficiency even when the going gets tough. 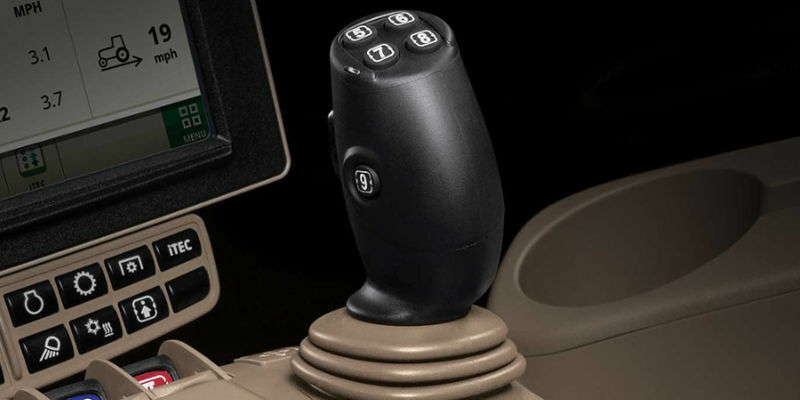 The e23 PowrShift and AutoPowr provide an elevated transmission efficiency. 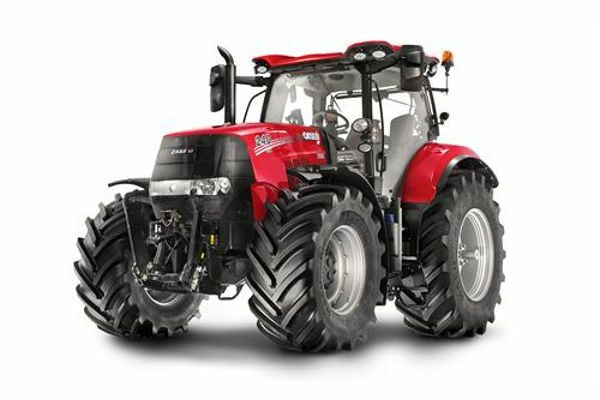 Another aspect of these tractors, which contributes to its capabilities, is its wide tyres. The axle design also enhances its performance. The PowerTech PSS 9.0 l turbocharged engine is designed to reduce emissions and running expenses while improving performance. Emissions are decreased with help from a catalysed exhaust filter and cooled exhaust gas recirculation. The series turbocharges function produces increased low-speed torque while improving engine responsiveness. The series turbocharges make it possible for the John Deere 8320R to cope with a range of loads. 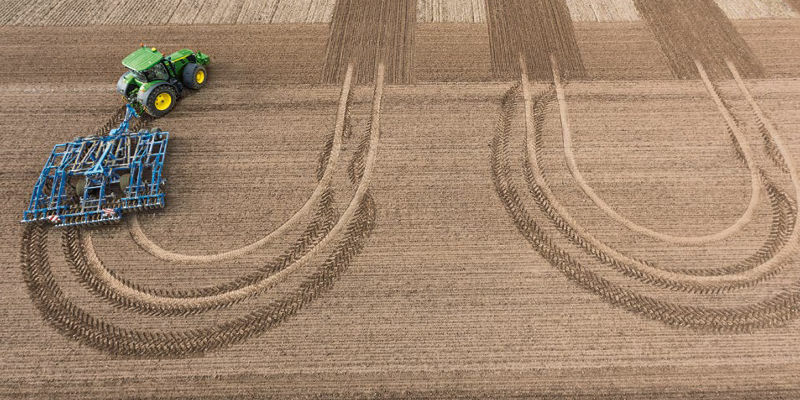 These tractors distribute the peak torque at the perfect rpm which, combined with the impressive and consistent power range, results in an exceptional pulling performance. Improved traction results in enhanced productivity and the structural chassis has been built to offer exceptional power density. The robust chassis’ design and the extended wheelbase make it possible to get more work done even under difficult circumstances. Another reason to find these tractors for sale is that they are convenient to operate. With a selection of transmissions, it’s easy to adapt your tractor to meet your requirements. The e23 transmission is designed to increase productivity for arable farming. Other options, which are available for the 8320R tractor, include the full PowerShift (16/5) and the AutoPowr transmission. The e23 transmission provides 10 power-shiftable gears that function to optimise the tractor’s pulling power. AutoPowr offers the benefit of smooth and effortlessness shifting. All the driver needs to do is select a speed, and AutoPowr will keep it consistent by accommodating altered loads. The 16-speed PowerShift boasts 16 forwards speeds as well as five reverse speeds. 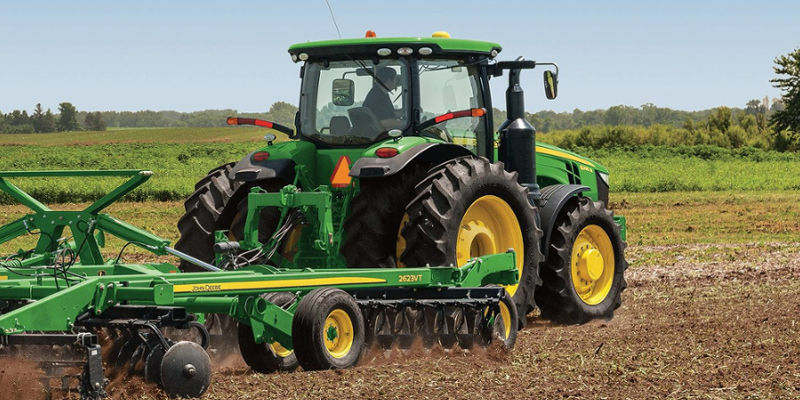 The John Deere 8320R tractor provides excellent flexibility. Its flexible balancing contributes to its outstanding performance. Weight distribution is another important aspect of this tractor’s efficiency. With a range of variations to choose from, you can customise your tractor to match a variety of applications. Axle flats enhance wheel attachment while decreasing maintenance. 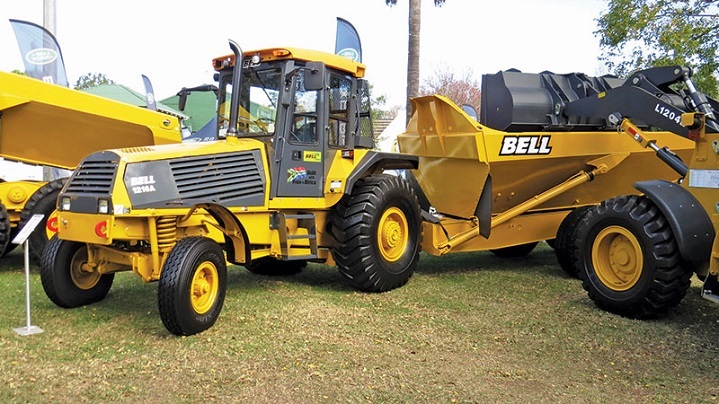 This feature also contributes to the robust design of this valuable tractor. Pick-up weights provide optimal balance while enhancing the tractive performance of these models. Front suitcase weights increase the flexibility of these tractors as they allow adjustments to be made quickly and easily to accommodate various application requirements. Adjustable rear-wheel weights function to improve traction. Now that you know more about the John Deere 8320R tractor, you can look for tractors for sale online. These robust tractors deliver a reliable performance which boosts productivity and ultimately translates into increased profits.